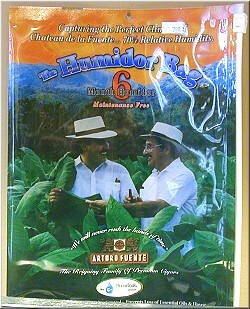 A. Fuente is using "two-way" humidity control in this cigar package. Prevents harmful fluctuations in humidity, loss of essential oils & flavor. Responds to outside environment by adding & removing water vapor. 6-mo. min. shelf life once bag is opened.